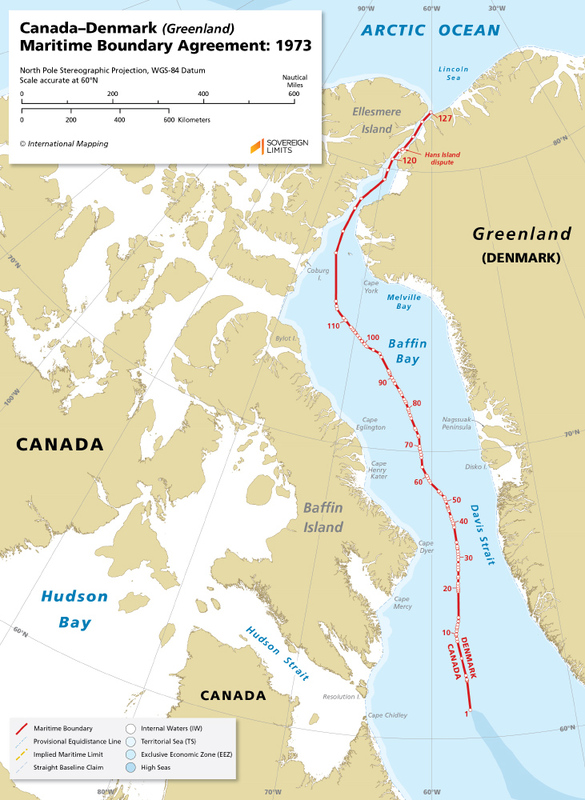 The maritime boundary between Canada and Greenland originates in the North Atlantic Ocean and follows a northerly course through Davis Strait and Baffin Bay until it reaches the Arctic Ocean. The boundary was established through a bilateral agreement that was finalized in 1973. 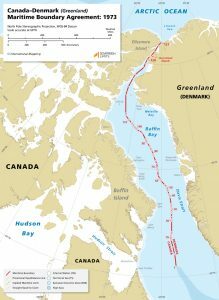 A territorial sovereignty dispute over tiny Hans Island briefly interrupts what is otherwise the longest maritime boundary in the world at 2,646 kilometers.